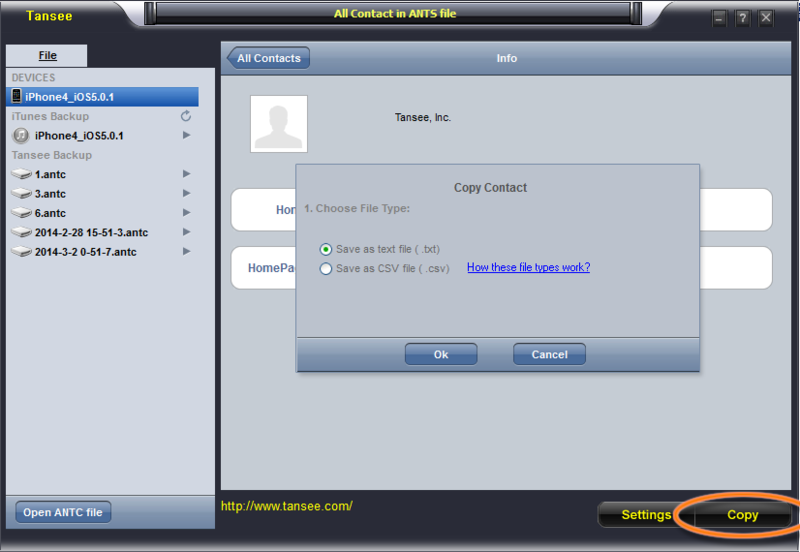 - Transfer Contacts from iPhone/iPad/iPod to computer. 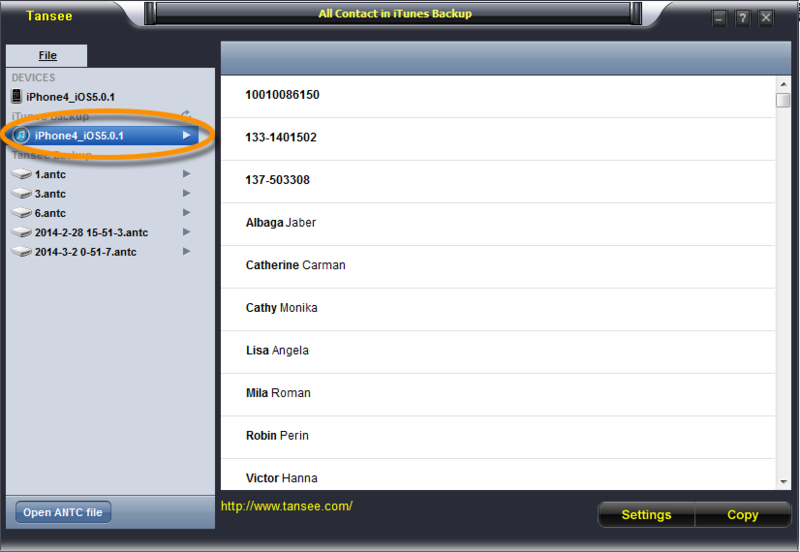 - Retrieve Deleted Contacts by extracting iTunes backup. 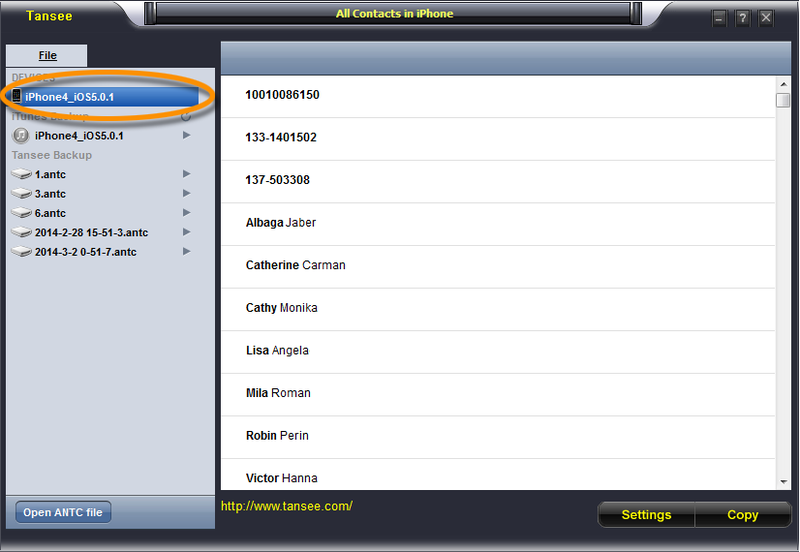 Backup to any folder: You can easily and quickly backup your Contact from your iPhone, iPod touch, iPad to your PC. 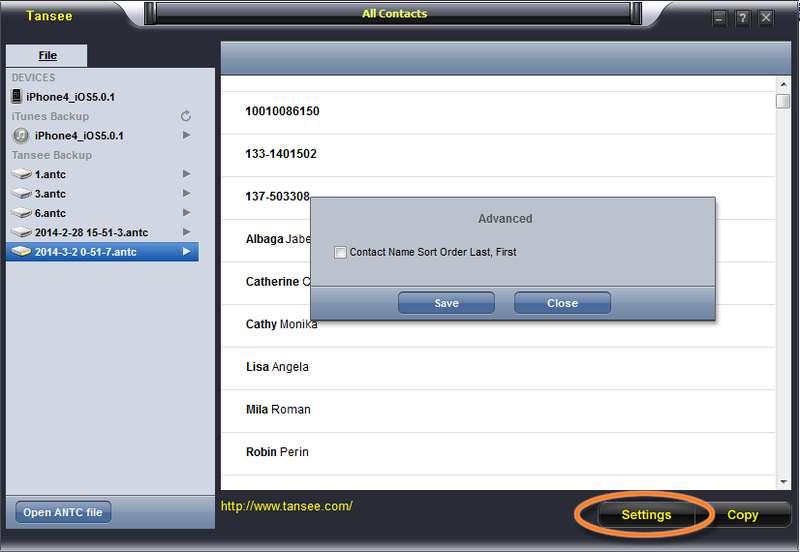 Tansee iOS Contact Transfer step by step user guide available. 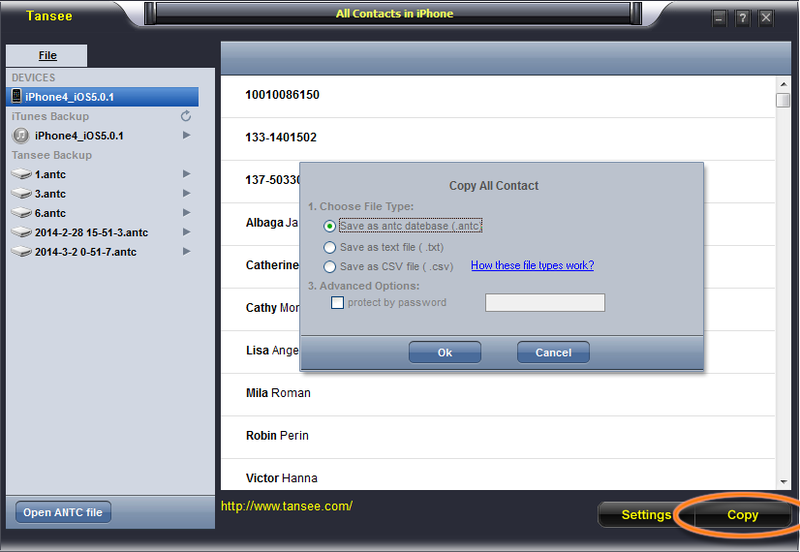 Just follow the steps, easy copy all your iPhone/iPad/iPod Contact to computer.